Air for engine starting, air conditioning packs, wing anti-ice and the hydraulic reservoirs comes from their respective ducts. Air for pressurisation of the water tank and the aspirated TAT probe come from the left pneumatic duct. External air for engine starting feeds into the right pneumatic duct. Ground conditioned air feeds directly into the mix manifold. If engine bleed air temperature or pressure exceed limits, the BLEED TRIP OFF light will illuminate and the bleed valve will close. You may use the TRIP RESET switch after a short cooling period. 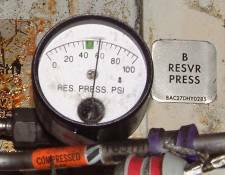 If the BLEED TRIP OFF light does not extinguish, it may be due to an overpressure condition. 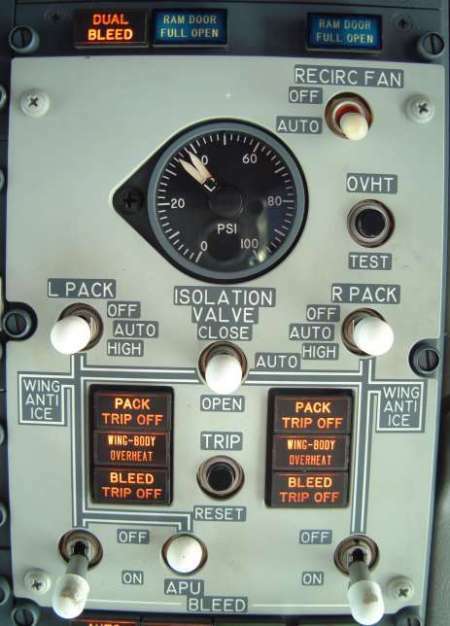 Bleed trip off's are most common on full thrust, bleeds off, take-off's. The reason is excessive leakage past the closed hi stage valve butterfly which leads to a pressure build up at the downstream port on the overpressure switch within the hi stage regulator. 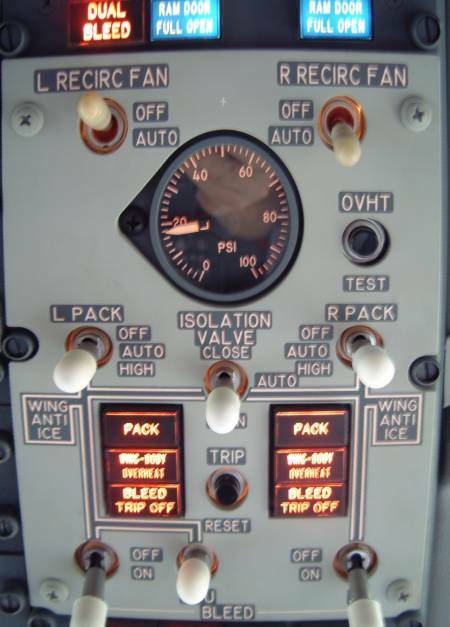 The simple in-flight fix is to reduce duct pressure by selecting CLB-2 and/or using engine and/or wing anti-ice.